Kaiware daikon is essential in Japanese cuisine as a garnish to sashimi and an addition to makimono (sushi rolls) and salads. Kaiware daikon led the way in the introduction of sprouts as a food ingredient.... Daigo Kani: As a garnish, Daikon-tsuma (grated bits of daikon radish), shiso leaf, wasabi and soy are a good match. Gari (pickled ginger) is usually consumed between different sashimi or sushi dishes to cleanse the palate. 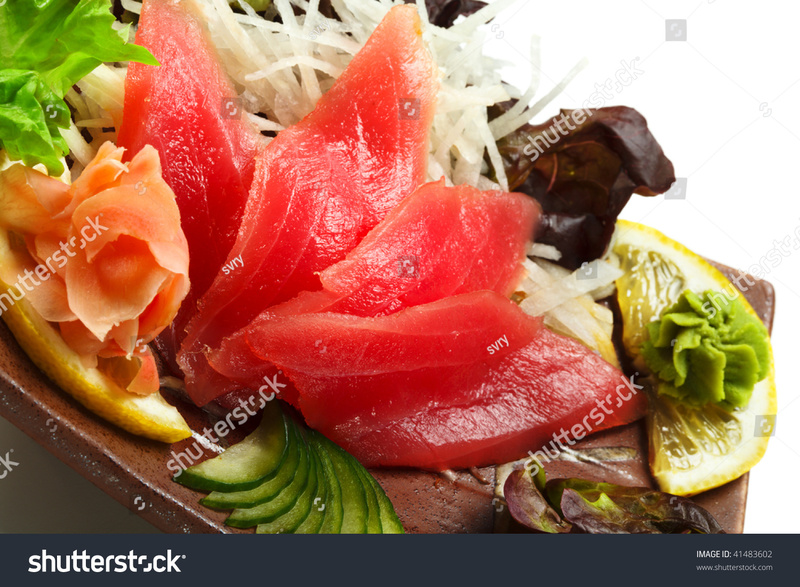 Sashimi is popularly served with a dipping sauce ( soy sauce) and condiments such as wasabi paste and grated fresh ginger, or, for meat sashimi, ponzu, and such garnishes as shiso and shredded daikon …... Sashimi is fresh, raw fish that is sliced very thinly and served uncooked. A traditional Japanese dish, it is usually served with daikon radish, pickled ginger, wasabi and soy sauce as the first course in a meal. Daikon Salad (Radish Salad with Japanese Plum Dressing) ?? Cut the tentacles at an angle to give them the traditional frilly sashimi look. The tentacles might be hard near the head, and the head itself might be difficult to eat, so you can throw those portions away if they are too tough. 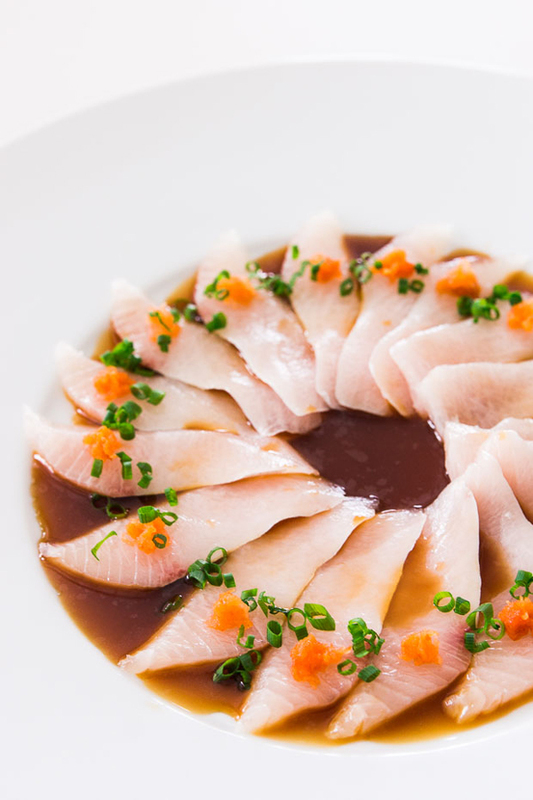 Serve the sashimi with soy sauce and pickled ginger. I can't get enough of sushi and sashimi, and when you go to a Japanese restaurant you often see some grated daikon adorning the side of the dish beside a clump of wasabi or some pickled ginger (which is another pickle I'd like to try to make at some stage!